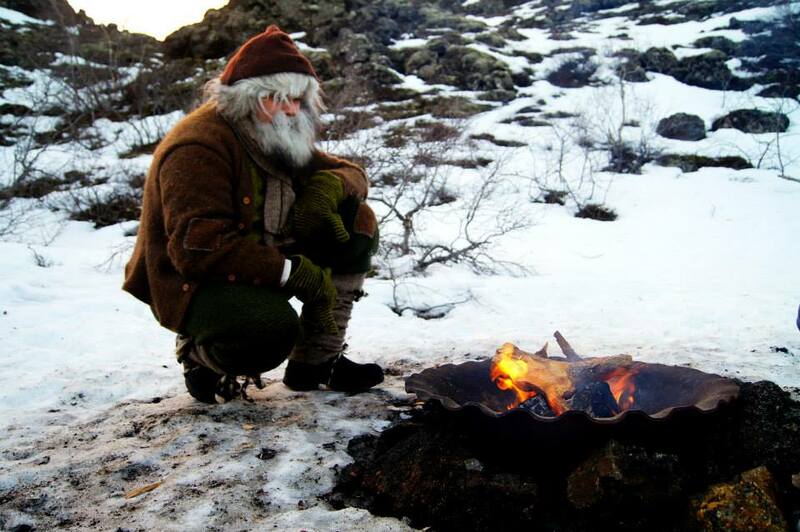 You know that Christmas is right around the corner when the Icelandic Yule lads start showing up at Dimmuborgir. 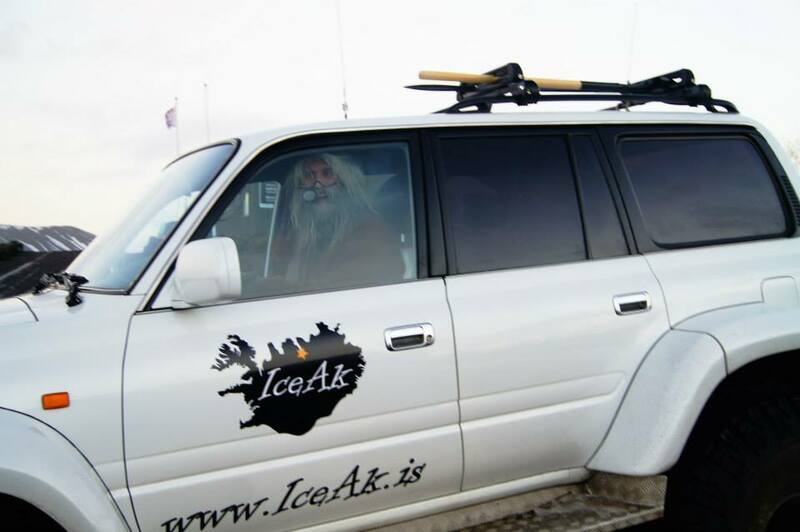 This weekend three of them were out greeting the tourists visiting Dimmuborgir, which is said to be their home. I’m still getting used to the Icelandic Christmas traditions and the Yule lads are one of those things that is completely new to me. In a few days all Icelandic kids will put their shoes in the windows before bed and waking up to find gifts in the shoes that a Yule lad has left for them during the night. Each night there is a different Yule lad coming to visit the houses and if the kids have been naughty the might find coal or a potato in the shoe instead of a gift. The Yule Lad Giljagaur (Gully Gawk) is the second one to “come to town” and will arrive on the 13th and he will hide in gullies to try to sneak into the cowshed to steal milk. 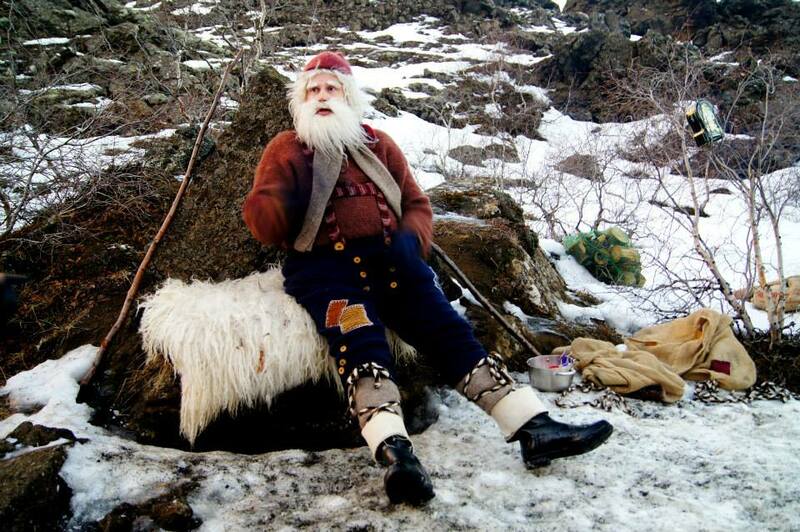 On the 12th the first Yule lad makes his way to town and the first one to arrive is Stekkjarstaur (Sheep-Cote Clod). 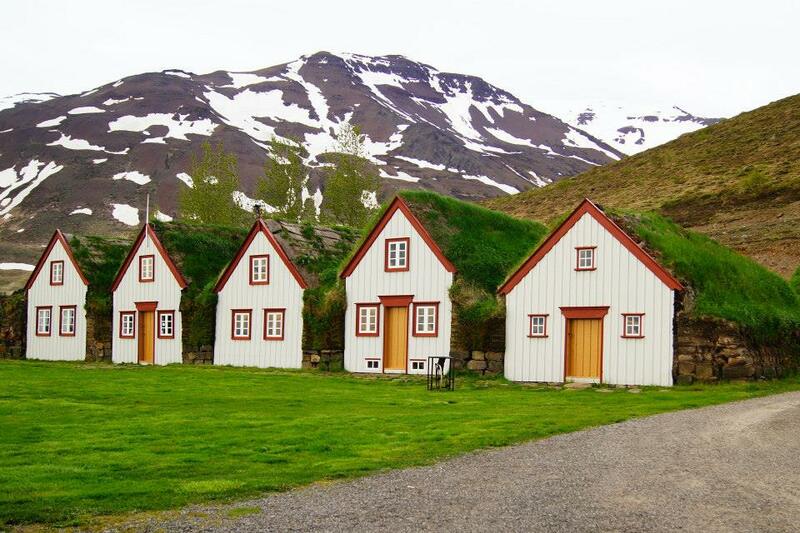 Unlike our Santa Clause the Icelandic Yule lads aren’t nice, but still they leave you gift so I’m not sure how that goes together to be honest 😉 But I still think it’s very nice that Iceland has kept this very old tradition, even if the gift part is fairly new I think. I guess the whole thing with the Yule lads were just to get children to behave during Christmas, if they didn’t the Yule lads would come down and scare them and steal things, and if the children had been very bad the Yule lads mother Grýla would eat them. It’s kind of a funny tale and it’s a tradition I will make my own. The Yule lad Kertasníkir (Candle-Stealer) is the last one to “come to town” and will come for a visit on the 24th to try to steal our candles. Here he’s warming by a nice fire. 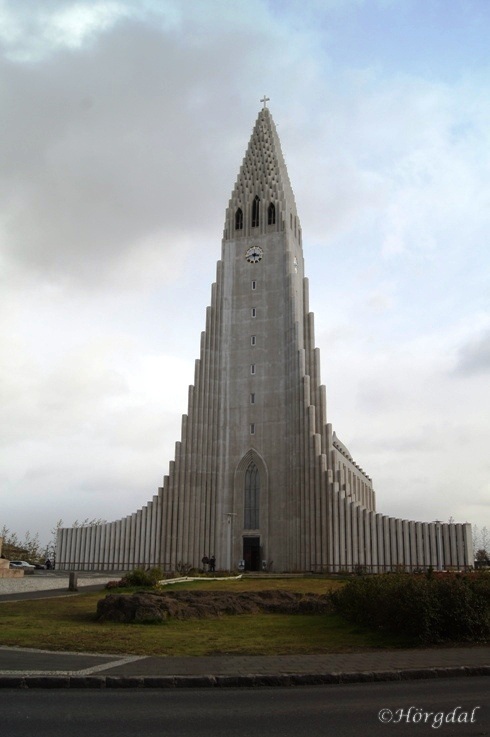 The church “Hallgrímskirkja” in Reykjavík is on the Buzz Feed Travels list of “The 11 Unusual Churches You Have to See Before You go to Heaven”. Hallgrímskirkja is a very special church and I quite like it, except for the interior. On the inside the church is much to plain for my taste. I love old churches with the coloured glass windows and all that. Even if I’m not a religious person I still have a thing for churches. They are often very beautiful and special buildings, and like in Reykjavík it’s a “monument” for the city. It’s like a navigation point in the city 😉 The church is tallest building in Reykjavík. It’s suppose to resemble flowing lava from a volcano. One of my favourite things about Hallgrímskirkja is the fact that you can go up in the tower and from there you have an amazing panorama view over the city. On the “World’s Must See Churches” list were many very special and beautiful churches, some of them I would love to go see. For example the number 9 on the list “Church of St. Jean (12th Century) — Aubeterre sur Dronne, France”. That one looks like something very special and I hope I will get to see it some day. Here you can find the whole list of World’s Must See Churches. If you’re interested in more infotmation I think you should read this article from MailOnline. For more info check out this article from the Reykjavik Grapevine. 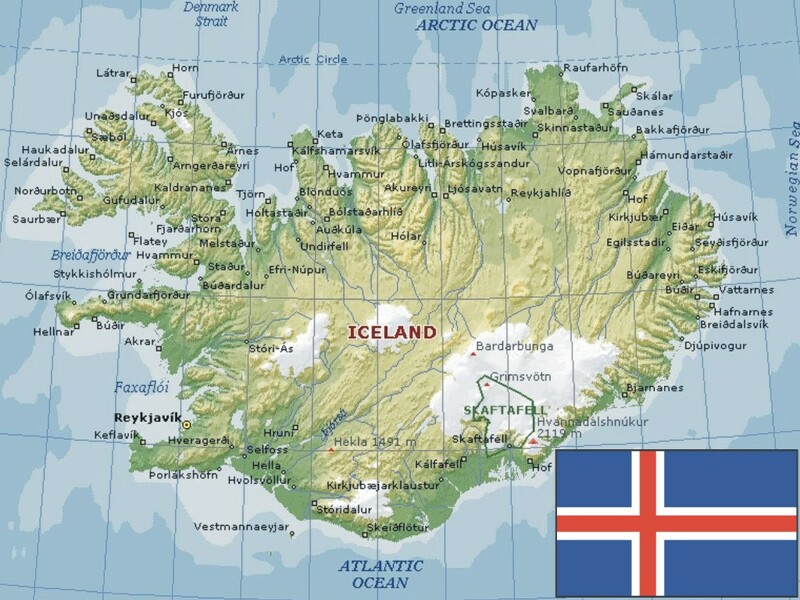 In the first nine months of this year, 3,046 foreigners moved to Iceland. Since I moved here last year I am not one of them. I must say that as much as I can understand that people want to move here, since it is such a beautiful place, I never thought it was that many that came to live here. 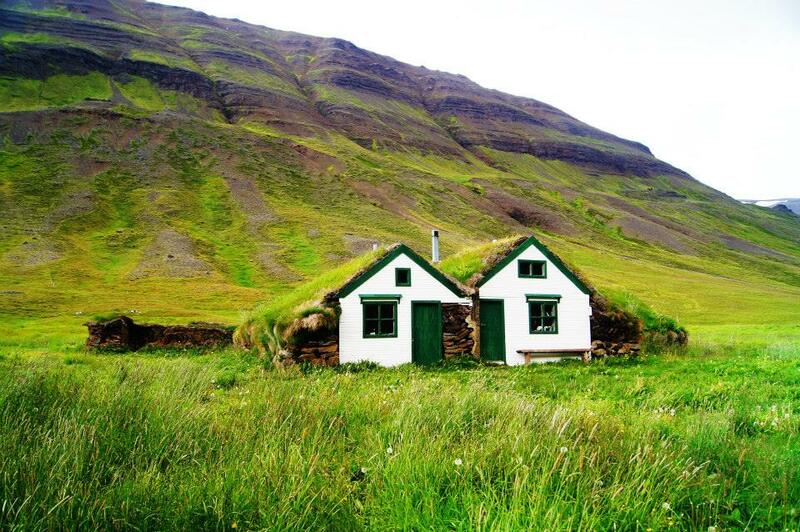 As far as I knew Iceland was a pretty “closed” country, but maybe I was wrong. Sweden wasn’t even on the list, so I guess there aren’t that many of us moving here. Why would we move here? It can’t be for the climate, you can find the same kind of climate in north of Sweden. All I can come up with, apart from love which was my reason for moving here, is the amazing nature. 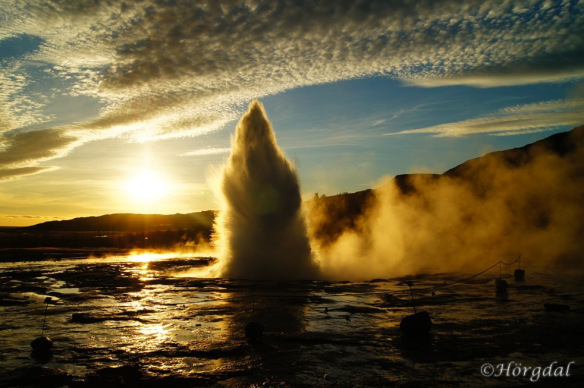 We of course have pretty great nature in Sweden too, but there is just nothing that compares to Iceland, it’s just one of a kind and I can’t imagine living any where else.